This section has a collection of useful downloads including our comprehensive guide to tools & equipment from Kerrisdale Equipment known to our customers as 'The Little Red Book!' We have split the sections for ease of use and faster downloads. Please note this guide is up to date at it's latest printed edition. 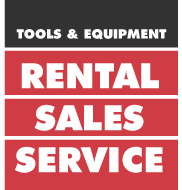 We are continually developing our range of tools and equipment which you can find in our online rental catalogue or throughout our website and news feed.